This week, in keeping with the month’s theme of trying to make medieval stuff myself, I made an attempt at medieval cooking. What could be more medieval than a meat pie? In Hollywood and historical fiction, there always seems to be someone walking around a market square with a basket of hot pies, and I’ve always wanted to try one. It was definitely worth the effort. The recipe I used is for “Lombard Chicken Pasties”. It comes from The Goodman of Paris (whom I blogged about here), and it appears in The Medieval Cookbook (revised edition) by Maggie Black. This is a great book because Black has modernized all sorts of medieval recipes so that amounts and cooking times are all present, in addition to adding interesting commentary and background information. I’m sure that medieval cooks would have had a good enough idea of what to use and how much that writers didn’t need to specify everything, but I am a modern girl, and I need specifics! While I definitely think Black’s book is worth getting for her hard work and information, you can also find the original recipe from The Goodman of Paris and an alternative modern version at Gode Cookery (an awesome website about medieval food). After the puff pastry was made, the rest was pretty simple: dip some chicken (I precooked mine, just in case) in a mixture of egg and spices, place it on a pastry round, put a piece of bacon on top, brush the pastry with the egg mixture, fold it over, and crimp the edges. Pop the pasties in the oven, and you’re done. Although The Goodman doesn’t specify what spices to use, I used Black’s suggestion of ginger and pepper. The only ingredient that isn’t easy to get hold of is verjuice, but you can substitute lemon juice (Black’s version) or wine vinegar (Gode Cookery’s version). As I waited for my pasties to cook, I thought a little bit about this recipe in its time period. It’s simple, and uses a minimum of ingredients, making it appealing to people who weren’t terribly rich, and fairly easy to mass-produce and sell. It does involve two different kinds of meat, so poor peasants wouldn’t have been able to eat it often, and no one (except rebels) would have been able to eat it on Fridays, or the many holy days on which meat was forbidden. It’s the type of food that can be eaten hot or cold, which means it would be both a good seller in the market, and a good lunch to take to work. Being full of protein, a pasty would also be pretty nourishing all by itself. Altogether, a pretty great combination. After taking the pasties out of the oven (and taking pictures for you, good people of the Internet), I came to the moment of truth. I can honestly say the pasties were absolutely delicious! They were golden and crisp, with a great blend of meaty flavour inside. They didn’t fall apart in my hands, didn’t require any sauces to make them more interesting, and they were filling on their own. The pastry was rich, so it was good to have water on hand, but the flavours complemented each other nicely. Although people will definitely look at you curiously if you tell them you’re on a mission to create “medieval pasties”, I’d definitely recommend trying these out for yourself. 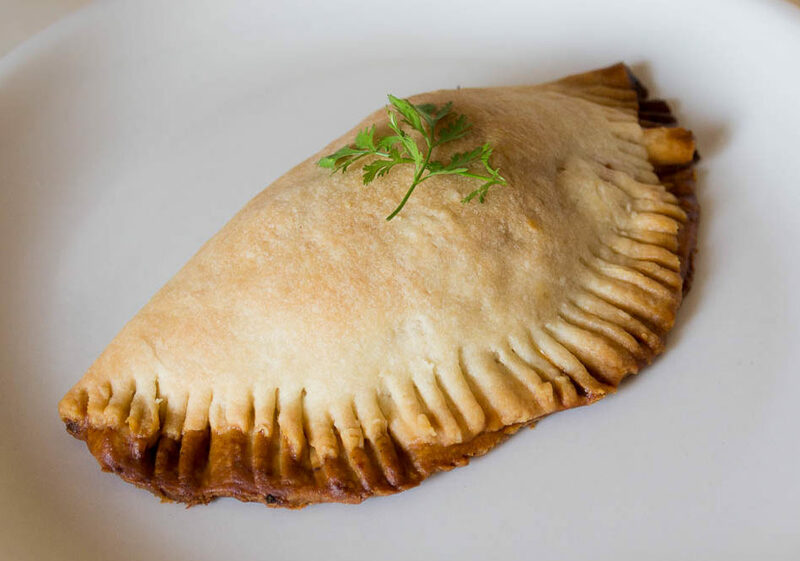 Making Lombard pasties is a fun and filling way to learn more about the past, and to share it with your friends.